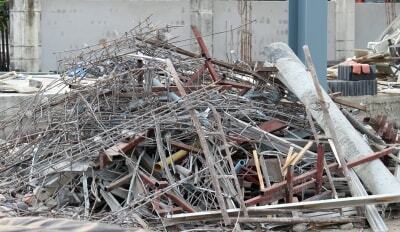 Lauderdale Lakes Construction Cleanup Service that you can count on is available from our team of experts at XS Trash. We will make you our top priority when you hire us. Do not wait to call us. Have your construction junk removed as soon as possible. It can be dangerous to leave your site filled with junk and debris. The last thing you want is for someone working around your site to get hurt. Our customers love our speedy service, flawless work, and reasonable rates. You can hire us with confidence! Our work is guaranteed and we offer same-day service. Lauderdale Lakes Construction Cleanup Service from XS Trash will really impress you! We use huge trucks that are 21-yards in length and are among the largest in the industry. They allow us to remove a lot of junk and debris at one time. We can remove one item or an entire truck filled with junk. There really is no limit to how much we can remove at one time. Lauderdale Lakes Construction Cleanup Service from XS Trash is fully licensed, insured, and bonded. You can choose to have your junk removed with a bobcat if you prefer. We would send an XS Trash licensed experienced professional operator to your property to do the work for you with a bobcat. You will never have to do anything, we take care of everything for you. Our Lauderdale Lakes construction cleanup service is one of our most requested services but we have many other services available. We also offer warehouse junk removal, trash service, appliance removal, furniture pickup, remodeling cleanup, and much more. You just let us know what needs to be removed and we will make sure that it is! Give us a call today to get more information. You will not regret your decision to hire us!